Having a server or database with more than 1 server is very beneficial. Besides improving the reliability of the server, migrating old files to second tier storage also can help the main storage work more efficiently. However, moving files to another tier is not as easy as it sounds. To make it simpler as well as keep the integrity of the files, you will need the help from a reliable server file archiving software. ArchiverFS can help you archive your old files and migrate them to UNC path or second tier storages like NAS, SAN and even cloud storage. You can click here for more information about this software. Migrating old file to second tier storage and completely separating the first and second tier storage has its benefit as well. In case of disaster where you lost your data in one of the storage, you still have the backup in the second storage. If you choose a great file archiving software, you will be able to restore the files gradually, starting from the ones you urgently needed. This way, file restoring time will be more efficient. 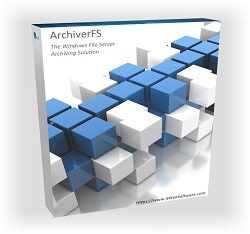 ArchiverFS has this feature and you can visit their site to know more about this functionality. Another great feature from this archiving software is it complies with data protection regulation. Some countries have data protection law that regulates how long a company can retain a certain type of data. Unfortunately, it is very difficult for companies to comply with this regulation. Not because they don’t want to but many companies store their data without any structures. As a result, it is very challenging to decide when certain data should be disposed of. ArchiverFS has a solution for this. This archiving software make sure its users can comply with the data protection law by allowing the users to specify the exact time when the data should be deleted.